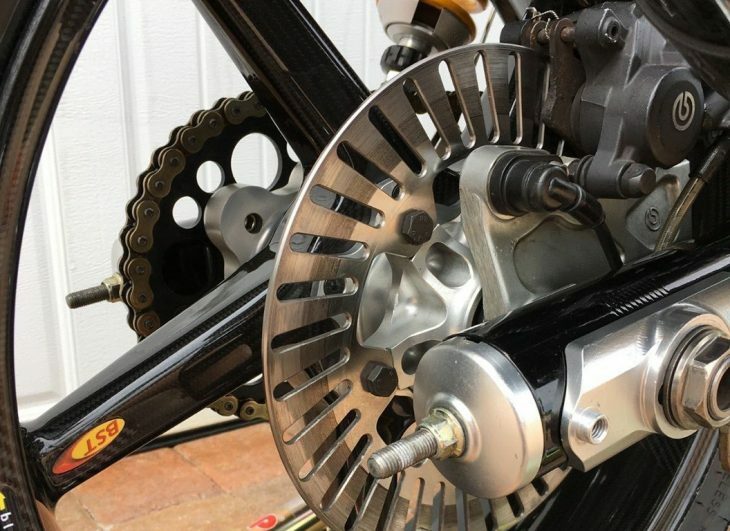 Different motorcycle manufacturers have different ways of mining riders' nostalgia and their own history: Triumph makes motorcycles that look like they rolled straight out of the 1960s but perform like modern machines, while Harley Davidson makes actual 1960s motorcycles, only heavier and with 1980s brakes and electronics. 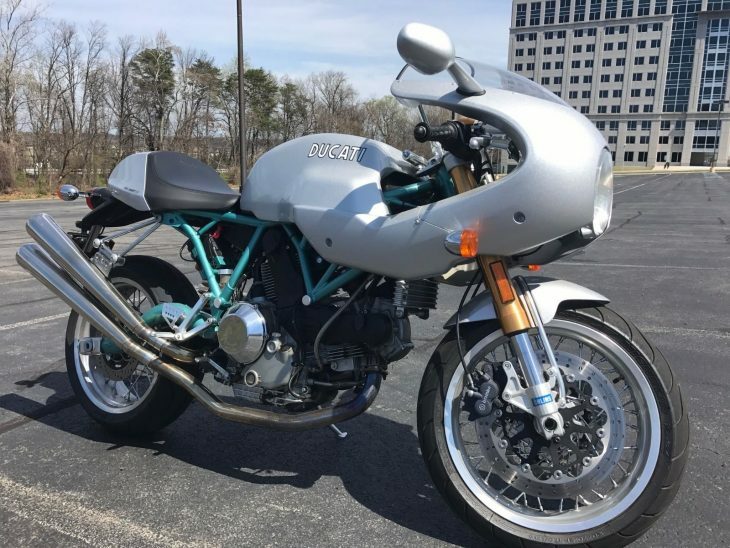 Ducati's retro bikes manage to straddle the line between vintage and modern styles, so designs for their Sport Classic and Scrambler models have classic colors and shapes, but you'd never mistake them for actual vintage machines. 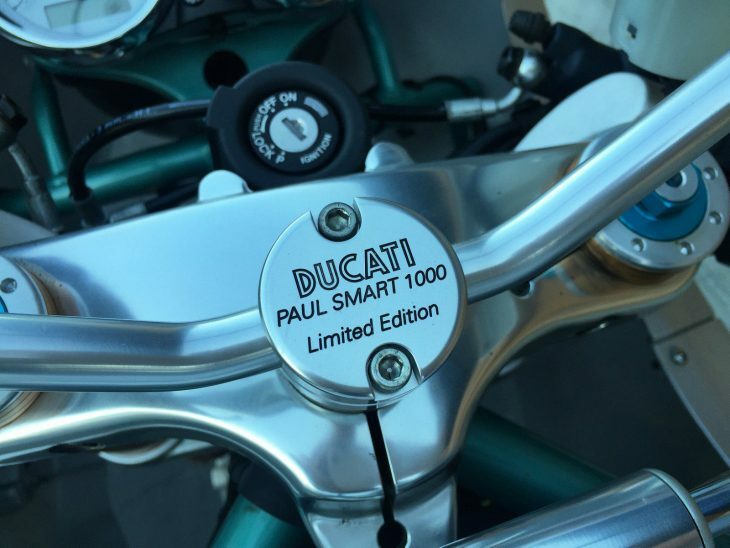 When released, bikes like the Paul Smart 1000LE caused a sensation, but demand died out relatively quickly and the line was discontinued after just a few short years, with only the GT soldiering on until 2010. Values for them second-hand have been surprisingly strong however, particularly for the 1000LE and Sport models. 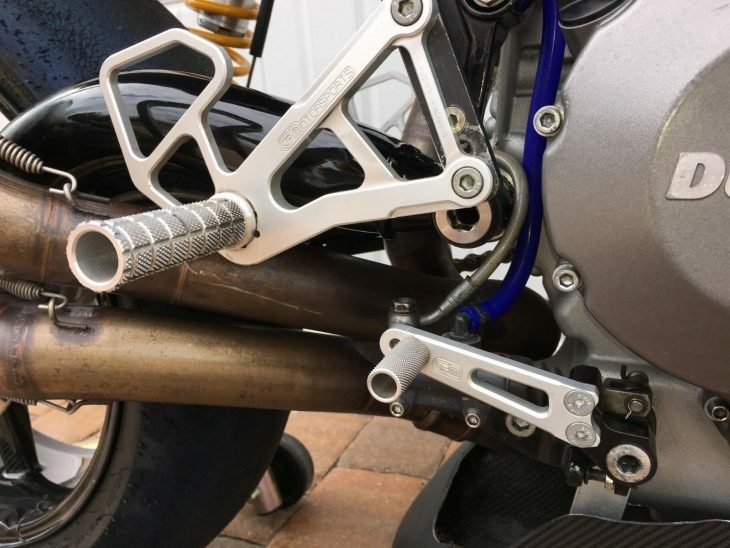 I'm a huge fan of the offset monoshock that looks like a dual-shock setup from the left side and the tubular swingarm, although that setup on the original bikes meant a solo-seat option only. Performance was fairly tame on paper, although 92hp is really nothing to sneeze at and can be put to good use because of the bike's excellent handling. 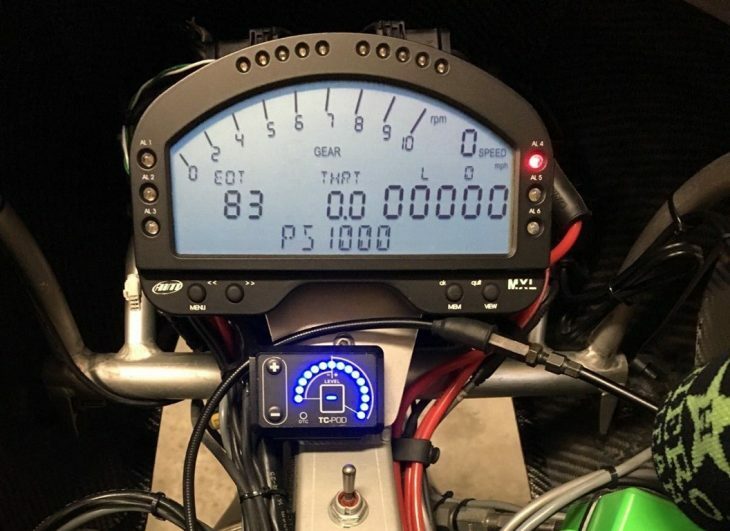 This was a bike pitched at a more mature crowd and experienced riders who appreciate a fast motorcycle but weren't interested in bench-racing or pointless horsepower-measuring contests. Paul Smarts show up pretty regularly on eBay, considering how few were built, often with low miles and exorbitant prices. 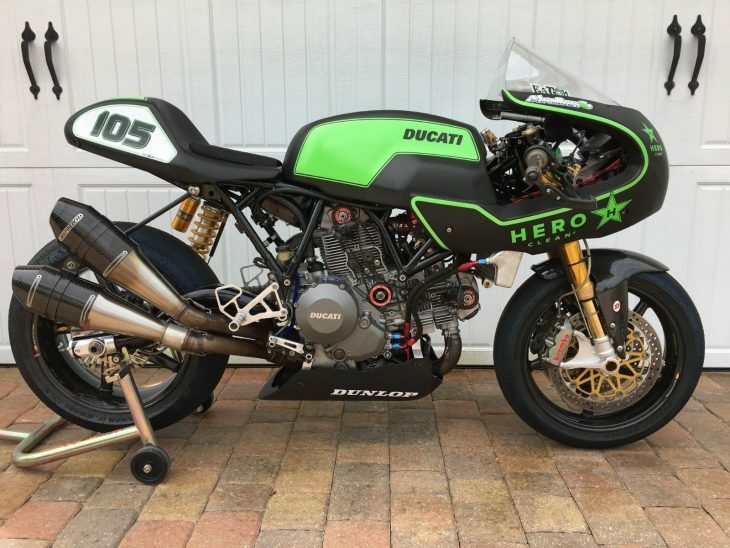 This particular bike certainly fits that description, as the asking price is $27,500 only with even lower miles and the added bonus of Paul Smart's signature on the bodywork, which should be like catnip for Ducati collectors. I'm glad the factory pipes are included for originality's sake, but they are very ugly things clearly designed to be replaced by the owner as soon as possible. The Keihan exhausts currently installed suit the classic style of the bike, but are almost too vintage for my tastes, and are likely too quiet as well. 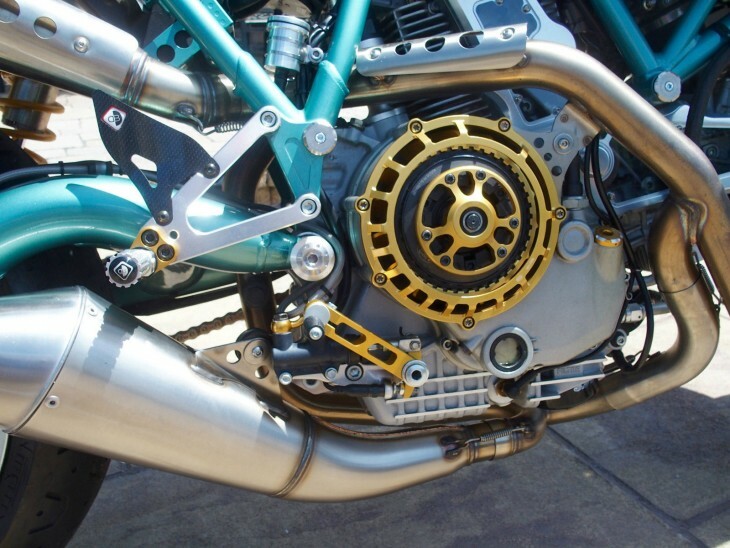 Maybe some Termignoni pipes would be more appropriate? Or those wild Zard high/low pipes that only work on the solo-seat models? 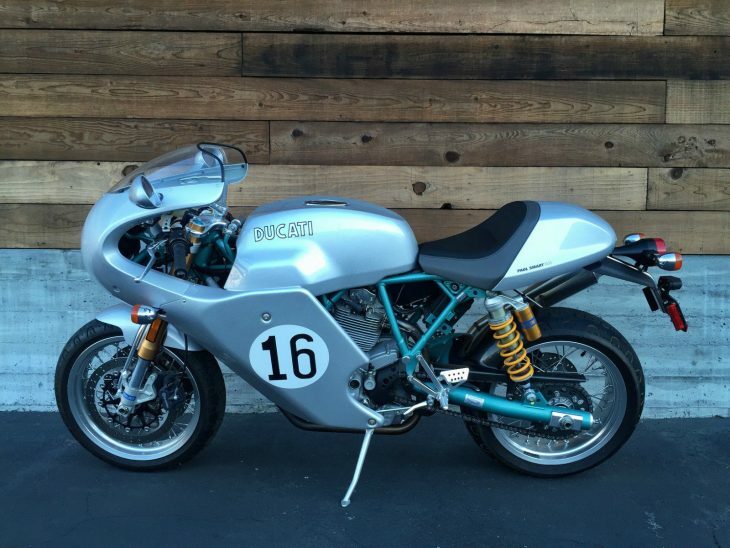 2006 Ducati Paul Smart 1000LE Limited Edition. Perfect condition with just under 700 miles. 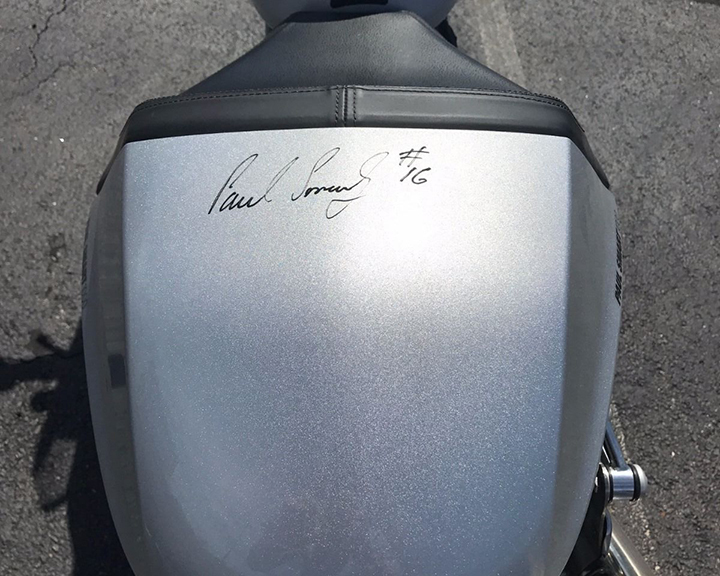 Autographed by Paul Smart on the tank and tail. Both have had a clearcoat applied over them. Always garaged. Collector owned. The bike is located in Washington DC, but I can arrange for shipping anywhere. 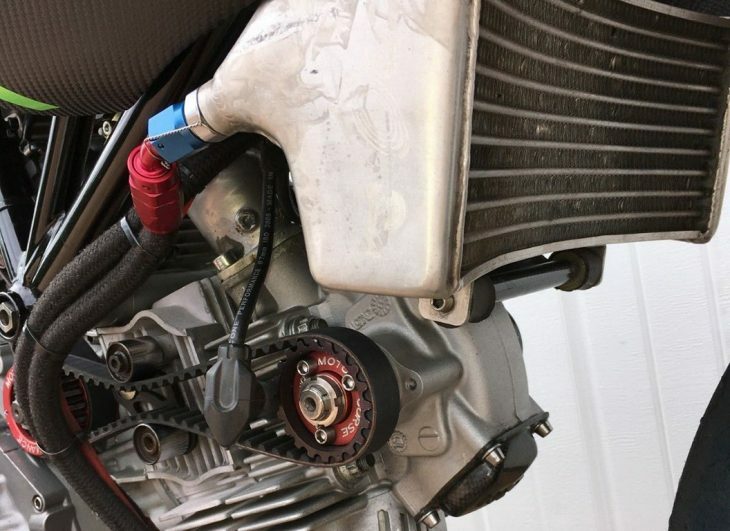 Aftermarket Keigen pipes, but the originals will be included in the sale. More photos available upon request. Aside from a relatively uncomfortable riding position, the 1000LE makes for a pretty great roadbike, with excellent handling, adequate power and a rich midrange, wind protection, decent fuel economy, and reasonable reliability, assuming you take good care of it. 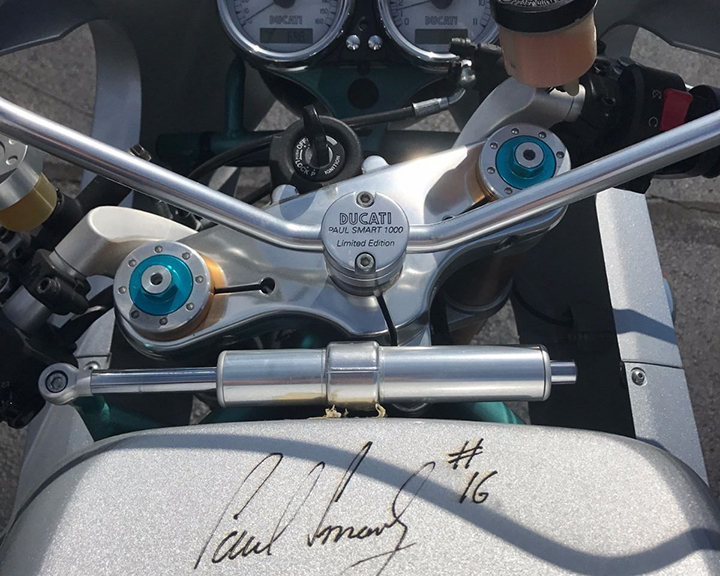 But in such perfect, low-mileage condition, and with that Paul Smart signature on the bodywork, I doubt anyone would want to destroy the bike's value by actually riding it. So it's a shame that such a practical exotic will probably spend most of its time in an office, living room, or heated garage, sealed away as an investment. 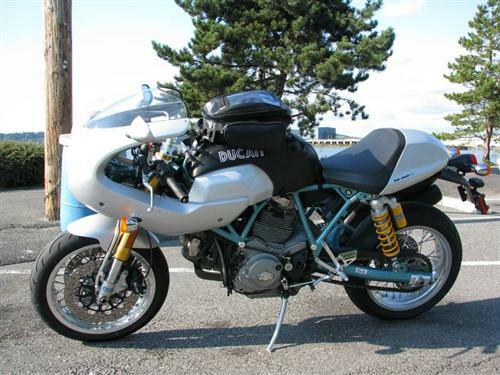 Ducati's SportClassic line made a big splash when it was introduced in 2005 and included today's Paul Smart 1000LE. 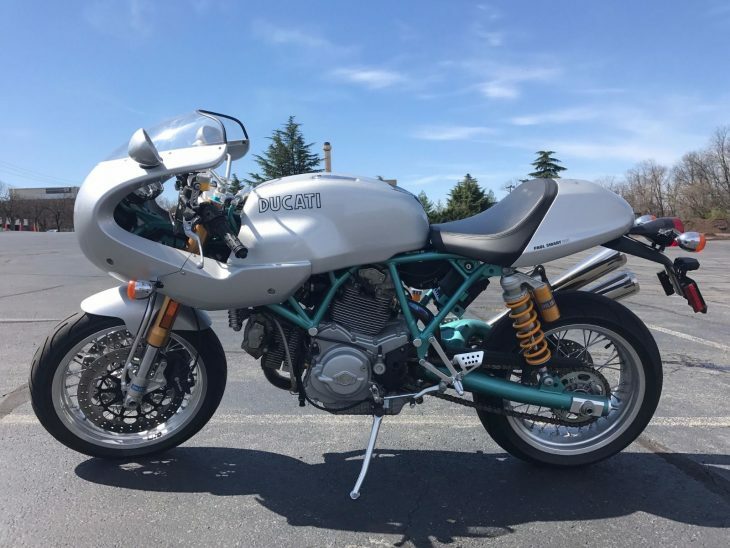 Powered by Ducati’s torque-rich L-twin with modern suspension at both ends, they were mature sportbikes for riders with a sense of history, an eye for design, and an appreciation for accessible performance. Many will complain about how “underpowered” they are, with just 92hp from the twin-plug, air-cooled twin, but there’s plenty of performance for most road-riders and the relative light weight and top-shelf suspension mean you can exploit every available horse. The style was never really in question though. 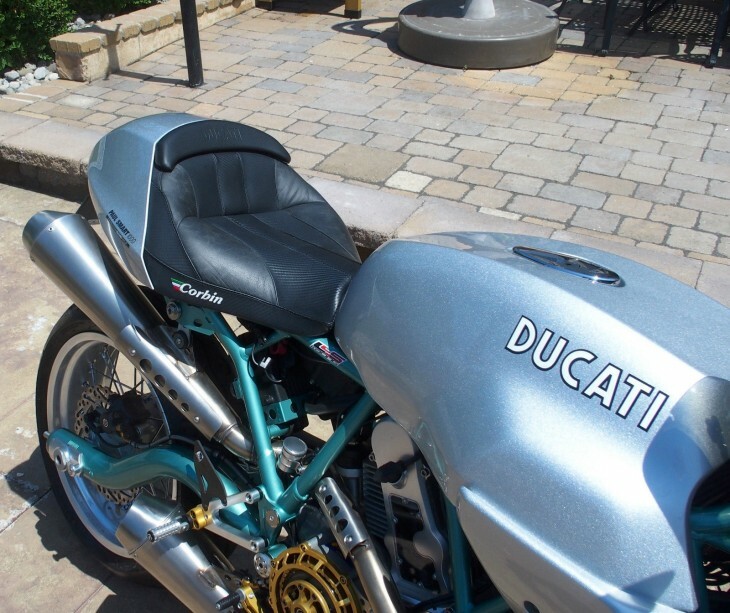 Pierre Terblanche may have caught some serious flack for his superbike restyle, it’s pretty obvious he knew what he was doing when he designed these. Unfortunately, although demand was high at first for the SportClassic line, interest tapered off fairly quickly and only the conservatively-styled GT1000 soldiered on until 2010. Interestingly, that low initial demand quickly turned into high collectability, especially for the half-faired Paul Smart 1000LE that was low-production to begin with. 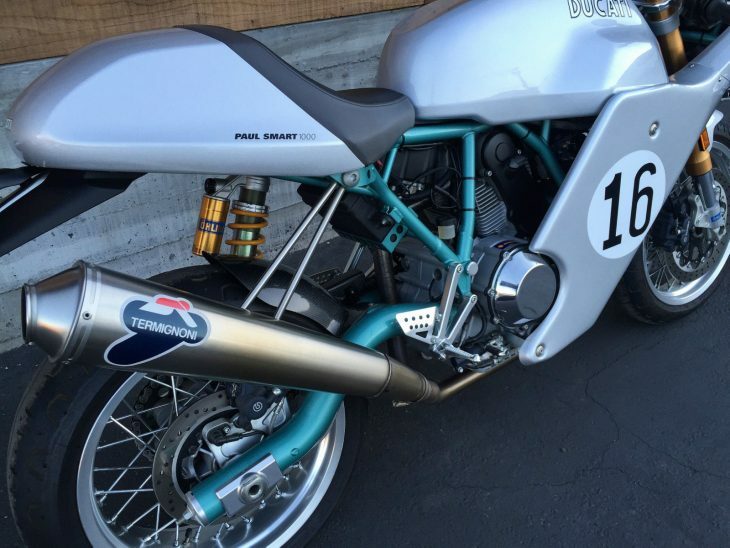 Designed to evoke the bike ridden by Paul Smart to an unlikely win at Imola in 1972, the bike featured silver, half-faired bodywork and a blue-green painted frame. Rear suspension was unusual and looked like a classic dual-shock setup at the rear, but only from the left-hand side. 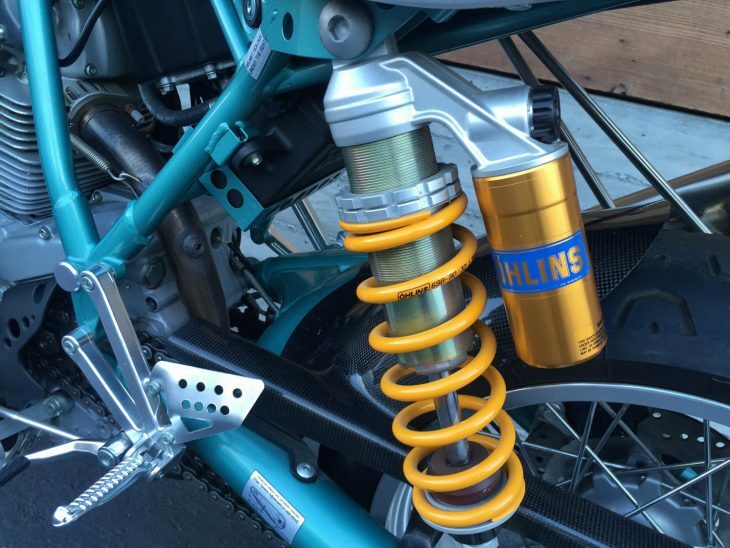 It’s an asymmetric monoshock, and one of my favorite features of the bike. 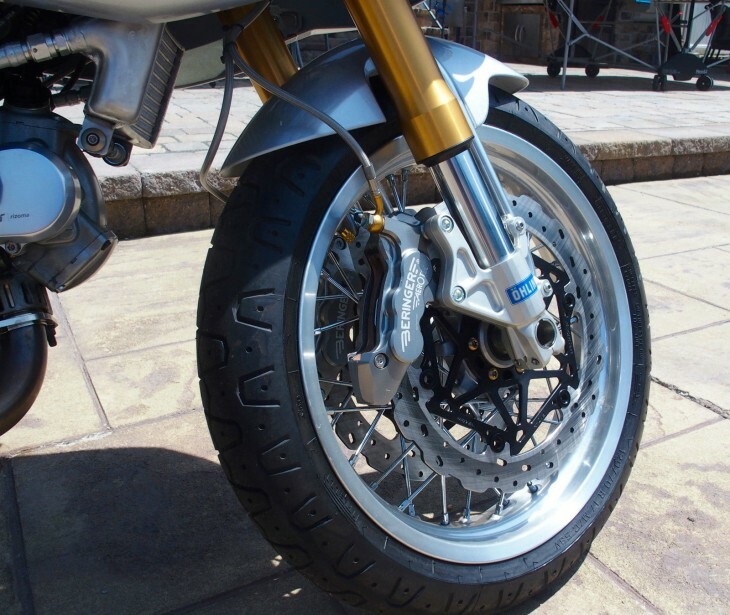 This example appears to be fitted with a set of the correct Pirelli Phantoms that were designed for this bike to offer modern performance and classic looks that mirror the bikes themselves. 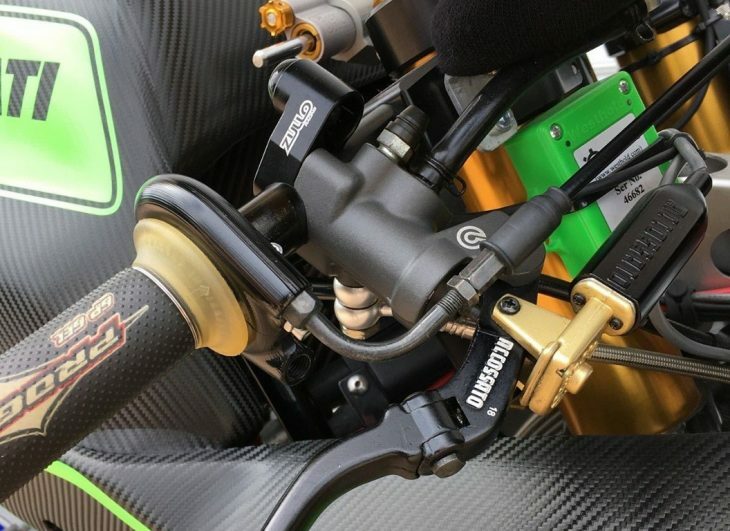 It also features a set of accessory fairing lowers that strengthen the Imola-bike-connection but to me detract from the looks. 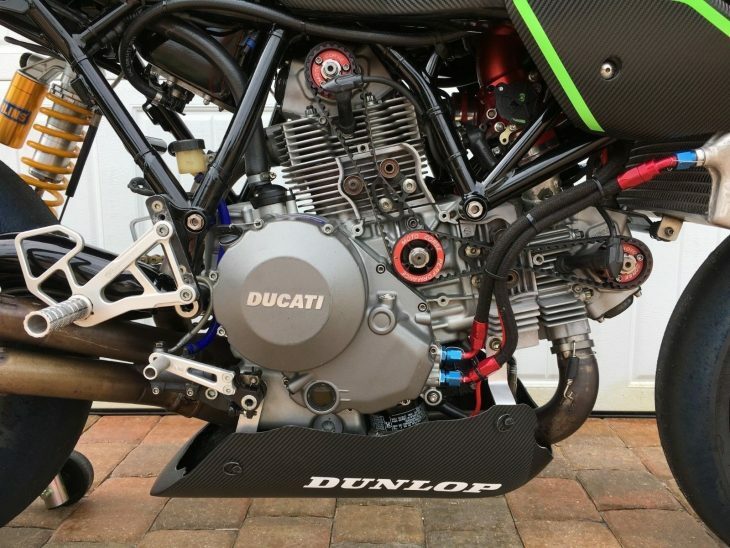 I prefer the half-fairing that resembles the road-going 750SS and, if it were my money, I'd be holding out for a bike with the funky Zard high/low exhaust instead of the entirely appropriate, but fairly conservative two-into-one Termignoni pipe seen here. 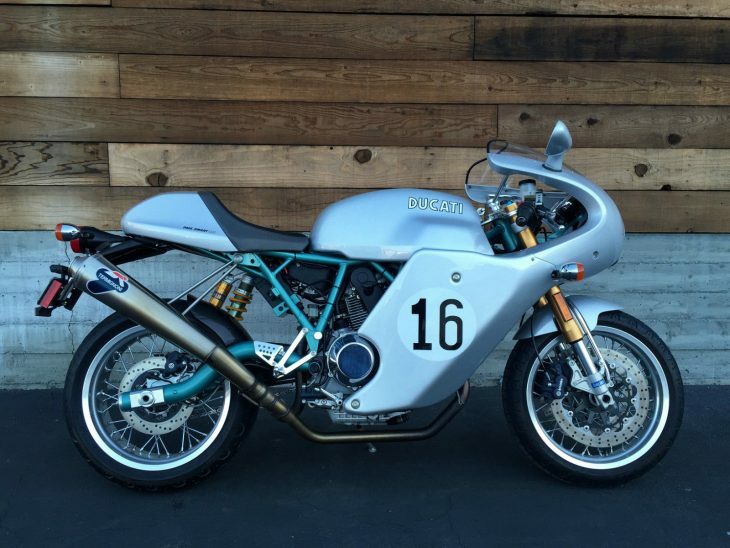 Up for auction is this incredibly clean, low mile Ducati PS1000LE Paul Smart Sport Classic. This Paul Smart comes with a Termignoni system and is otherwise stock, save for the accessory seat. 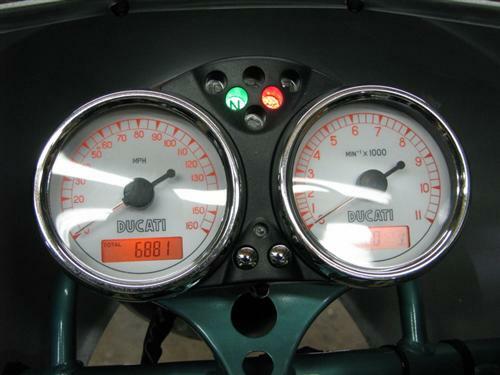 The bike is in near-showroom condition and has just had the 2-year service completed...it needs nothing. And with only 1,953 it's virtually new. This bike is 100% correct with zero issues, flaws or scratches. We've had several inquiries about the tank. Currently there is no sign of warping, bubbling, etc. Tank has not been coated but looks good. 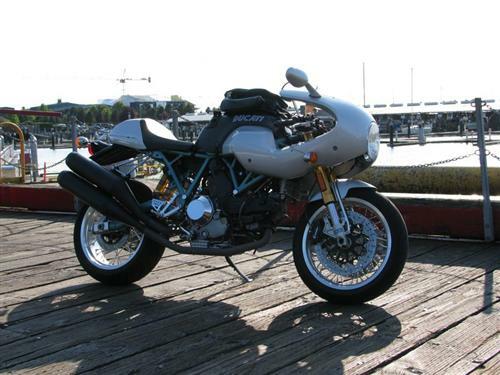 Over the last few years, the Paul Smart has become one of the most sought-after Ducatis in recent memory. Not only is the Paul Smart a competent and capable road bike that's zestful and invigorating to ride, it's also a stunningly gorgeous object of beauty. Based on a Sport Classic engine/frame combination, the PS100LE was built to commemorate Paul Smart's classic win at Imola on the fabled 750ss. 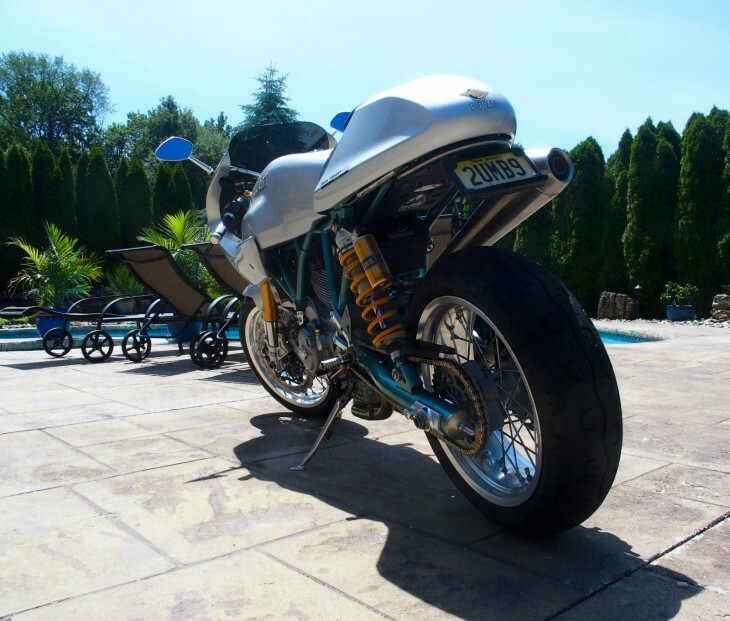 The silver bodywork and blue/green frame was meant to conjure up images of the 750 race bike - only this model contains a 1000cc dual-spark lump and top-grade Ohlins suspension to compliment the single seat and clip-on bars. 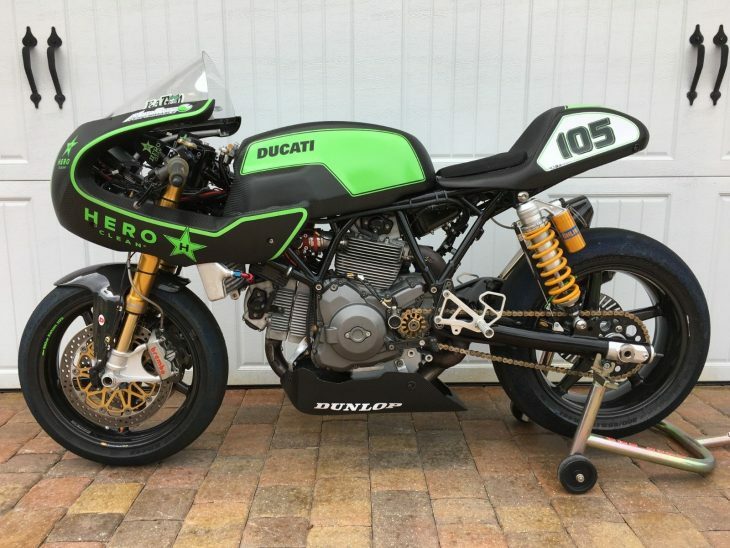 The bike is styled in the fashion of the Ducati 750 Imola Desmo race bike that Paul Smart rode to victory, and the 1974 750 SuperSport it originally inspired. It is one of the SportClassic series designed by Pierre Terblanche. 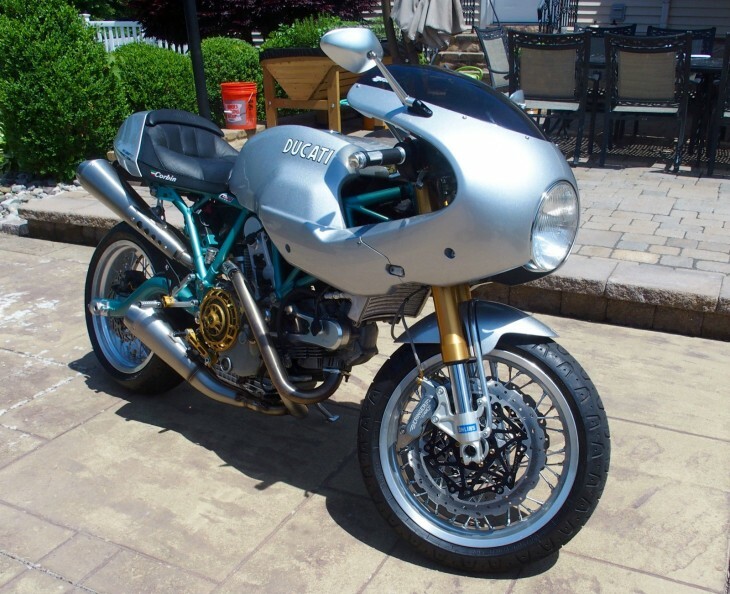 Just 500 of the classically-proportioned Ducati Paul Smart 1000LE bikes were imported to the US, with silver half-faired bodywork and a blue-green frame intended to recall the bike ridden to victory by Paul Smart at the Imola 200 in 1972, a win without which Ducati might not exist. Modern retro-styled bikes often use their throwback looks to justify performance to match. Harley's Sportster is obviously the worst offender, but the Triumph Bonneville, while an all-around great motorcycle, is hardly a performer when the road gets twisty. 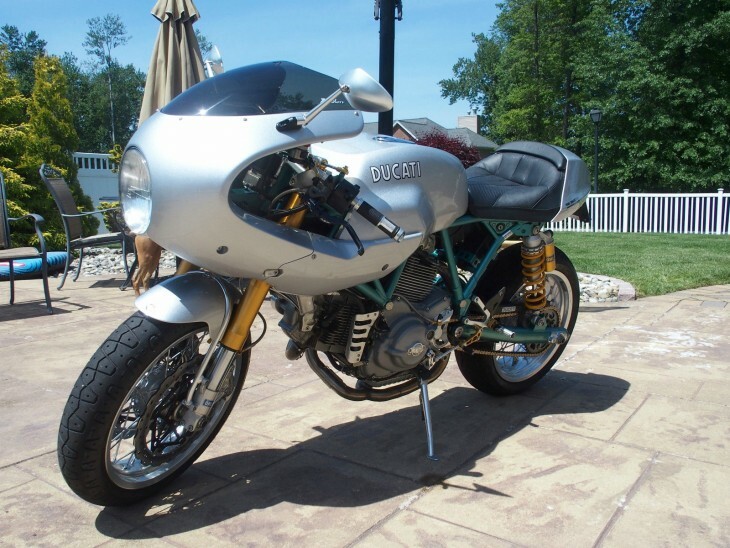 The thing is, although the Ducati Sport Classics weren't cutting-edge sport bikes in terms of weight or power, they did feature top-shelf suspension and braking components so they are actually rewarding to ride quickly and use one of the most charismatic and long-serving engines of all time: Ducati's belt-driven, two-valve, air-cooled L-twin. In the Sport Classic, it displaces 992cc and uses twin-plug heads for more efficient combustion across the honking big piston surface. 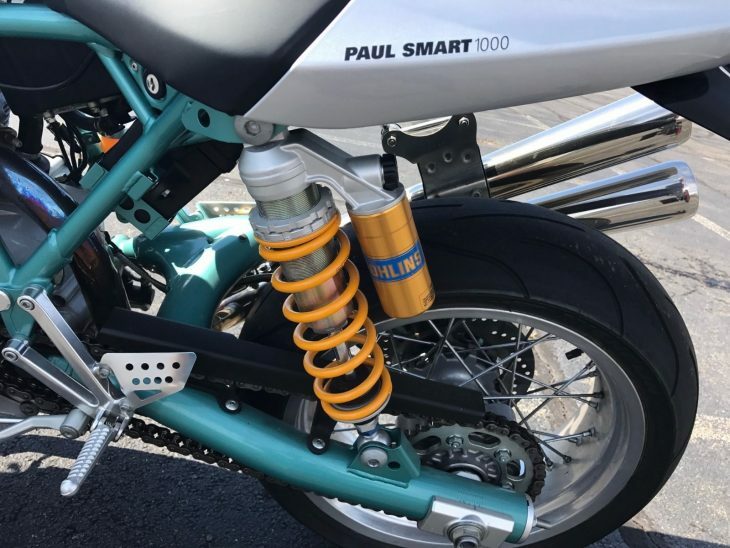 For your consideration today is this very nice Paul Smart 1000LE that features the truly lust-worthy Zard dual exhaust. 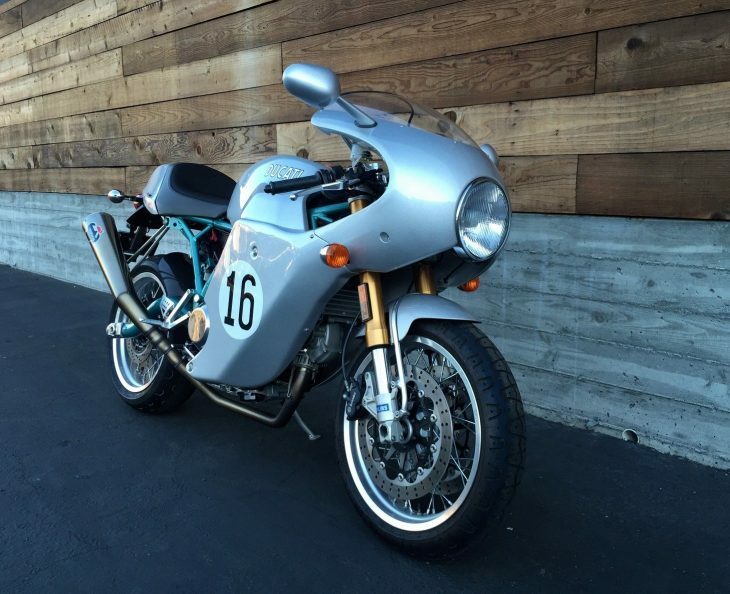 Seriously, I want one of the original solo-seat Sport Classics just so I can fit one of those exhausts. They look cool as all get-out and sound amazing as well. I also love that very slick LED taillamp that cleans up the look of the rear and is almost invisible, while providing you with all the "hey I'm stopping" and turn-indicator-y-ness of the original units, but with less overtly retro styling. 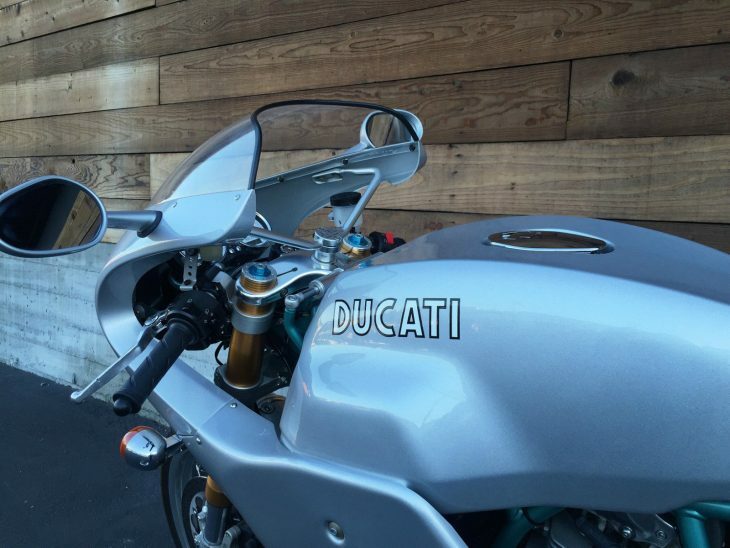 Most riders aren't actually capable of exploiting a 1299 or even an 899 Panigale, much as they might love the style and heritage. And you pay a pretty hefty price in terms of comfort, insurance, and maintenance if you choose the superbike style over the real-world performance of something like this. A Sport Classic allows you to have your cake and eat it too, offering an effective blend of modern design and vintage styling cues, along with performance that is real-world fast, and enough handling to embarrass unsuspecting squids on a Sunday morning ride.